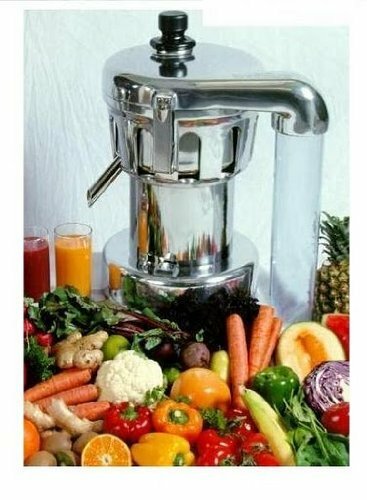 Vitamix Professional Series - Best Yet? Vitamix Professional Series – Best Yet? Is The Professional Blender Worth The Cost? Looking for the ultimate blending experience? These blenders are the elite when it comes to top performance. Each blender is packed with valuable features that can take your culinary skills into the next level. The units have programmed settings and all come with a variable speed dial that can help you create professional chef quality drinks and meals in record times. Buying a professional model means you will be paying a pretty penny. But don’t let this stop you. By using our promotion code (06-004806) you get extra bonuses plus FREE Standard Shipping Included! You might be wondering which units in the Professional Series is the most popular. 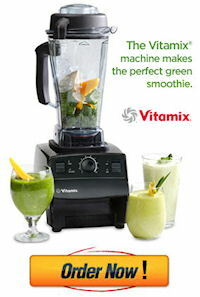 Bar none, Vitamix Professional series 750 is the most popular in the lineup. 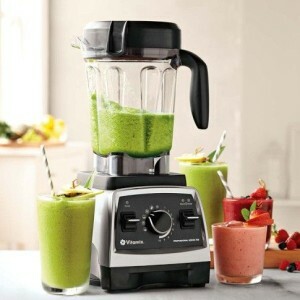 This exact blender was showcased and sponsored in HGTV® Dream Home 2013. When you purchase this unit, you will receive the 64-ounce compact wet blade container that can blend ingredients efficiently bringing in professional performance. This top-of-the-line model has 5 pre-programmed settings giving you total control while blending. The 750 model blender is quite similar to the Pro 300 in terms of dimension. They measure in at 17.4 inches tall and weigh 12.5 pounds. Their six-foot cord can be tucked underneath the unit’s base. The base color of the 750 model is available in brushed stainless finish, black & red. The Professional 300 Series comes in 2 color options for its base, onyx and ruby. The container of Professional 750 is shatterproof and free from BPA as well as all of containers manufactured by this company. It also comes with an ergonomic handle with laser-cut blades that measure 4 inches in diameter. It has a vented lid that is spill-proof. What’s interesting about the lid is its center plug that you can twist out while the unit is still running to add ingredients. With their shorter and wider container, both 750 Series and the 300 series blender can be easily stored in your kitchen counters without any difficulty, unlike the Professional Series 500 or the CIA Professional Series which have the taller 64-ounce container. Some owners prefer to own the compact 48-ounce container for making smaller batches of recipes. The company offers 2 professional models which accommodate such tasks. These include: The Pro 200 with Compact Container and CIA Professional Series – with compact container. 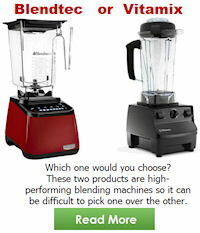 When comparing their motors, Vitamix provides 2 powerful motors for their professional blenders. The Pro 200, Pro 500, and CIA Professional Series models are loaded with their standard 2-peak horsepower motor. 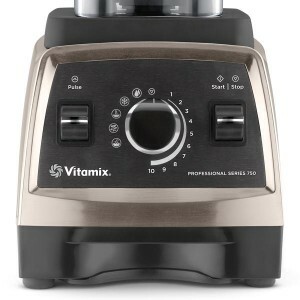 While the Vitamix Pro 750 and the 300 Pro are equipped with a 2.2-peak horsepower motor. Surprisingly, with the slight increase in horsepower, these models actually run slightly quieter than the standard 2-peak HP motors. Both style of motors are governed with a thermal protection system and radial cooling fan that will shut off the unit automatically when it becomes hot. The 750 Professional series consists of its popular switch dial configuration and a new pulse function. As mentioned earlier this redesigned unit comes with an additional 5 presets for precise blending of purees, hot soups, frozen desserts such as chocolate ice cream, smoothies and a self-cleaning mode. While the 500 Pro blender is suited with 3 pre-programmed settings, smoothies, hot soups, and frozen desserts. Vita mix Pro 200, and CIA Professional Series are equipped with the standard variable speed dial with the high/low control. The 300 Pro has the variable speed dial but also has a pulse feature for making salsas or chopped salads. What’s the Cost of a Professional Series Blender? The cost of the 750 Pro blender is the most expensive out of all of the Pro Series models. Brand new you can pay up to $700. But you can own this blender at a lower price by purchasing its certified reconditioned Professional 750. Want to save even more cash? Check out the line-up of their refurbished blender models. Guaranteed the lowest prices available online! With The Pro 200, Pro 300, Pro 500, and the CIA Professional Series you can expect to pay between $480 and $650 per blender. The cost may be too expensive for a lot of consumers. 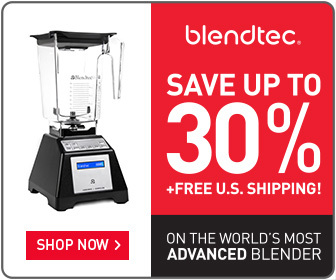 But, if you want the top-of-the-line blender, you can always take advantage of our promo code to lower the cost. Which Professional Blender Should I Buy? Ultimately, this depends on your blending preferences. 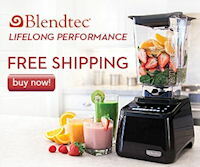 As you seen in this review, the company offers the perfect model just for you to complete any blending task you throw at their blender. Not only will you be able to pick the perfect blender for your kitchen, you can be confident with the manufacturers guarantee and warranty. Did you know the company offers a 30 day in-home-trial period? If you’re not totally satisfied with your blender you can send it back within the 30 day period for a 100% refund. This includes free 2-way shipping. Depending on the model you decide, these blenders come with a 5 year (Reconditioned Model) or 7 year (New Model) iron-clad warranty at no extra cost. You may also purchase an additional 3yr warranty if you want more reassurance. If you’re ready to start eating healthier and making delicious meals for your family in record times then it’s time for you to purchase a Professional Series Blender right now by clicking on the buy button below.